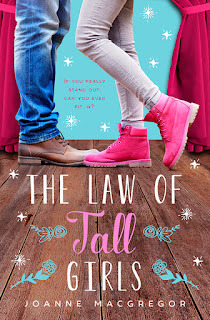 Marc Secchia: The Law of Tall Girls! The Law of Tall Girls! My heroines range from a 3-foot 11.5 inches Pygmy girl to the Shapeshifter Dragoness, Aranya, who is inches taller than her lanky father, King Beran, to the ultra-tall 6-foot and 7 inches (!!) Zhialeiana of my IsleSong series. Oh, and she's not done growing ... in all sorts of unexpected ways. That's what Dragons of Sea and Sky, the 4th in the IsleSong series and also the sequel to Dragon Thief, will reveal! Purchase The Law of Tall Girls here. You forgot Pip's ever important half inch! So I did. Man, that's a mess :-) let me go correct the post quickly!